The woman, from West Boldon, contracted Legionnaire’s Disease and has slammed car parts maker Faltec Europe Ltd for putting her life at risk through flagrant health and safety breaches and for failing to settle her legal action out of court. The married mum, who lives just 200 yards from its factory, says she now has a fear of living in her own home, or letting her grandchildren play in her garden. It was there the 56-year-old retail worker believes she contracted the wind-carried Legionella bacteria in May 2015. The woman, who does not wish to be identified, needed urgent hospital treatment and now suffers from post-traumatic stress disorder (PTSD) and long-term fatigue. She is suing the company, which was prosecuted and ordered by a court to pay a £1.6million fine - reduced to £1.18million on appeal, for compensation. She said: “This should never have happened. I was very lucky because I have a good family who were there to look out for me when I became ill, but it could have been so different. “Even today I get upset about what has happened to me, and sometimes think I could have died. My health has suffered and I’m still suffering. “I was fit and healthy, and now I’m tired all the time and suffer anxiety. “Faltec has never been in touch to apologise. I’d have liked them to apologise. I was made ill due to the way the wind blew. “The other direction would have taken it over a McDonald’s, a Wacky Warehouse for kids, and a cinema. Who knows how bad that could have been? “I don’t like the kids playing in my garden now, and I feel insecure living here. The woman began feeling unwell on Sunday, May 17, 2015, and a blood test revealed Legionella. She spent three days in hospital and was off work from her part-time job for more than four months, and has yet to return to her previous hours. 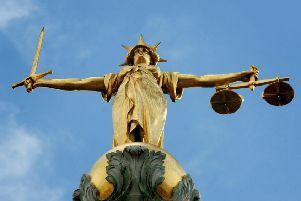 Last May, Faltec, which employs almost 600 people at its Boldon Business Park site, pleaded guilty to three health and safety offences at Newcastle Crown Court. The court heard it had a “woeful and flagrant disregard” for health and safety between October 2014 and May 2015. During that period, serious flaws in its water system led to infected droplets entering the atmosphere. Five people, including four staff members, contracted Legionnaire’s, and a 19-year-old worker was badly burned in a ‘fireball’ inside the plant. He suffered first-degree burns after a flocking machine exploded next to him, causing injuries so severe that doctors placed him in a coma. The firm says it has since spent £4million upgrading the workplace, and last month successfully challenged the level of its fine for the Legionnaire’s outbreak in the Court of Appeal in London. Faltec wished to make no comment on the legal bid.